Southside Community Church - A Place to Call Home! 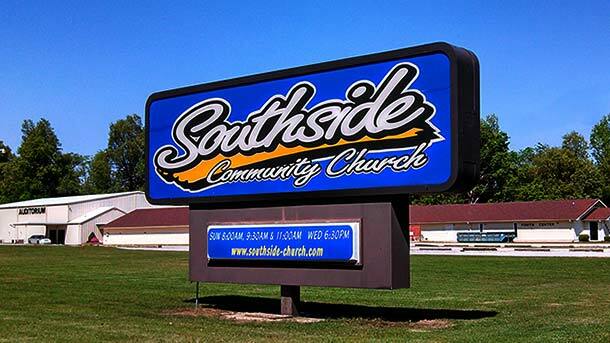 Southside Community Church is located in Paragould, Arkansas. For more than two decades, Southside has been a church where you can discover God’s plan for you. At Southside, we make it easy to build relationships. We invite you to join us, get connected with friendly people, learn more about God’s plan for you and find your place at Southside Community Church. When you come to Southside, you will be glad to know that: Our dress is casual, our music is LIVE (full band) and exciting, the messages are in modern English (none of that Thee, Thou, and Ye stuff), the Bible is taught in a life application method, and YOU will be accepted. If you have children, then you will also be happy to know that we have Children’s Worship just for them. Southside Community Church is a place you can call HOME!